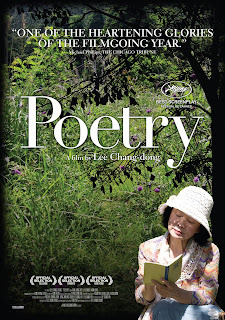 Lee Chang-dong's Poetry may have the most appropriate movie title of the year. Delicate, lyrical, and haunting, Poetry is a cinematic poem all its own. Directed and acted with such supreme grace, it stands tall as an early landmark in what is shaping up to be a very strong year for film in general. Starring legendary Korean actress Yun Jung-hee (marking a triumphant return to the screen after a self-imposed 16 year hiatus), Poetry is the tale of an eccentric elderly woman in her twilight years named Mija, who lives alone with her ungrateful lump of a teenage grandson, Wook (Lee David), and makes a modest living by cleaning the house of a wealthy businessman who has been paralyzed by a stroke. Always feeling that she had a creative spirit, and determined to seize the day in any way she can, she enrolls in a poetry to class to find better ways of expressing herself. Even when her doctor informs her that she is in the early stages of Alzheimer's Disease, she is determined to continue life as she always has, with her head held high and a song in her heart. But when she discovers that Wook and a group of his friends have committed an unthinkable crime, Mija must come to terms with it in the only way she knows how, and finds solace and meaning in her attempts to write the poem she has always wanted to write. Yun Jung-hee in Lee Chang-dong's POETRY. Image courtesy of Kino International. In some ways, Poetry is reminiscent of another recent Korean hit, Bong Joon-ho's Mother, but without the thriller elements that made that film so exciting. Poetry is a much more introspective film, and ultimately a deeper one. Mija finds herself consistently frustrated by her inability to write a poem, a problem compounded by the onset of Alzheimer's, and instead is constantly scribbling down random observations about the world around her. What she doesn't know is that she is actually writing poetry all along, her notes revealing simple yet profound truths about the unique way she sees the world. Yun's performance as Mija is simply extraordinary. Her portrayal of a woman on the cusp of being consumed by the fog of old age is both vibrant and heartbreaking, carrying the entire film with a delicate regality. She manages to radiate both strength and vulnerability simultaneously. She is the backbone on which Lee builds his film, and through her Poetry truly comes to life. It is a stunning performance that was well worth the 16 year wait. 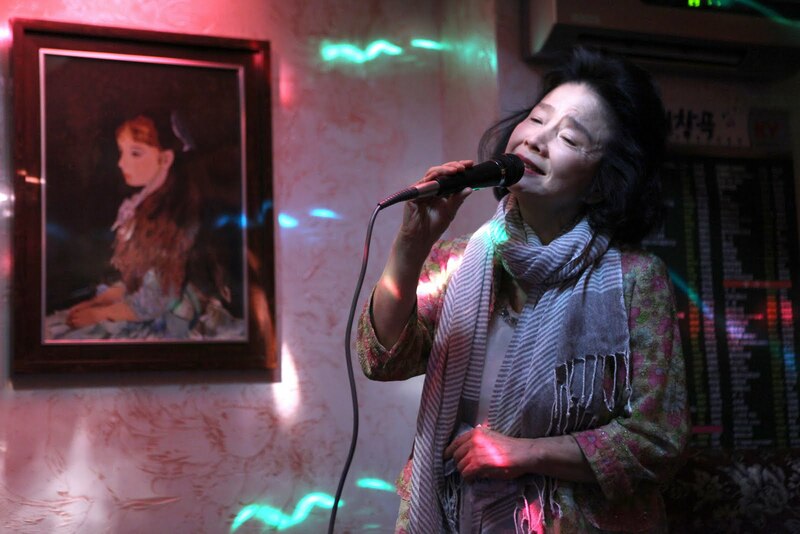 Yun is a treasure, and Poetry is a virtual showcase of her immense talent. It's interesting to watch Mija's transformation from the beginning of the film to the end. Yun navigates very tricky emotional waters with such breathtaking grace that it is easy to become lost in the world of the film. She is wholly believable, and Lee makes great use of her talent. It is as much a testament to the will and spirit of one indomitable woman as it is to poetry itself. When she is told by her teacher that poetry is dying, Mija is both shocked and saddened. 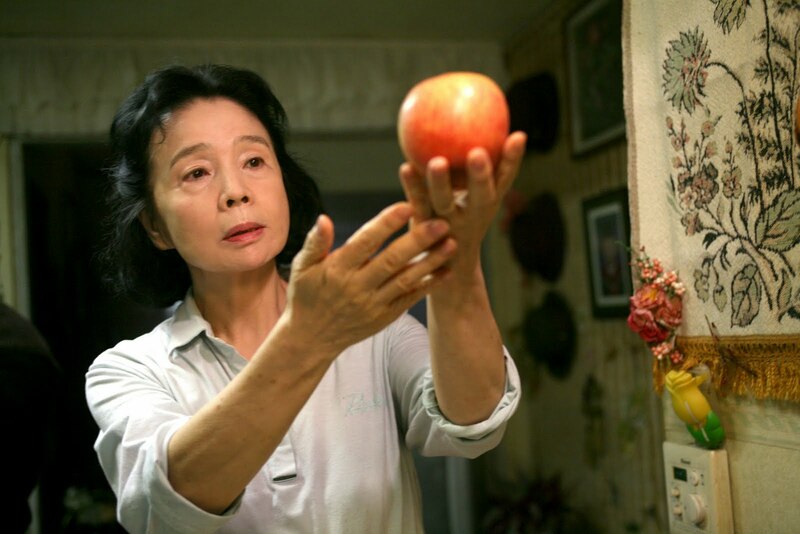 Her sadness reflects not just a mourning for the death of poetry, but for beauty itself, as represented by the horrible crime committed by Wook and his friends, whose specter haunts the entire film. Poetry is beauty, and what use is life without beauty? Mija is entering a world of darkness that is completely foreign to her, and her poetry is a solace into which she can escape. Her dotty optimism has always served her well, but as her mind and memory begin to go, poetry is all she has left in a world that no longer makes sense. What Lee has achieved her cannot be understated. Poetry is a powerhouse, a masterful evocation of a free spirit torn down by the fog of age and tragedy whose search for poetic inspiration leads to an unlikely and heartbreaking source. It is a completely profound cinematic experience from a director working at the top of his game with an actress at the height of her powers. It is kind of a perfect storm of talent, adding up to a consummate work of art. Poetry sets the bar very high for the rest of 2011. 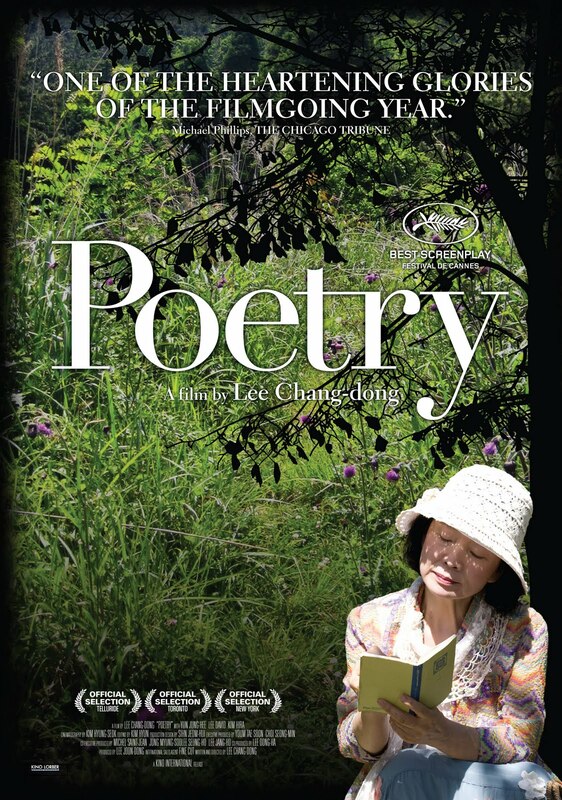 POETRY | Directed by Lee Chang-dong | Stars Yun Jung-hee, Lee David, Ahn Nae-sang, Kim Hi-ra, Kim Gye-sun, Park Myung-shin, Kim Yong-taek | Not rated | In Korean w/English subtitles | Opens today, February 11, 2011, at the Lincoln Plaza and Quad Cinema in New York City. Yep. Nice. I hope to see it over the weekend. Just got in the house after seeing this at the Lincoln Plaza Cinemas with Lucille and Broadway Bob. I am utterly devastated, overwhelmed and transported by this extraordinarily moving film, every bit the poem of a film that you attest to here. Yes, the bar has been set, and I can't imagine any film finishing ahead of it this entire year. It's the greatest Korean film of all-time, and like last year's LOURDES it's an early year masterpiece. Glad you liked it, Sam. This one is going to be hard to top.